Have you ever been on a hike and one of the buckles on your backpack broke or got damaged? When this happens your equipment might become uncomfortable to use, loose some of its functionality or becomes completely useless as long as the buckle has not been replaced. You might even have to throw out your backpack just because of a broken buckle, although the backpack is still in top shape. In this situation you probably wished to have a replacement buckle handy that is easy to install. So, what is different to the other replacement buckles? 1. 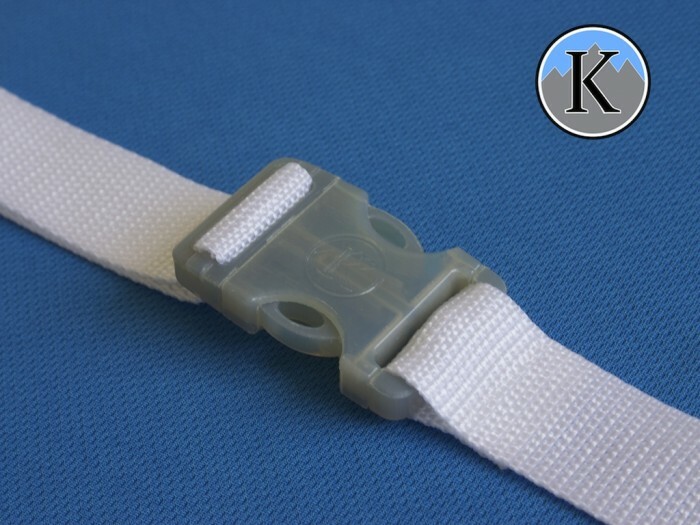 The strap that is attached to the buckle is looped tightly and sewn into the equipment. If you want to replace the buckle you somehow have to open the stitches so that you can thread the strap around the bar of the buckle and then you need to sew the the strap back to its original position. 2. The strap for the tension lock is sewn back and forth so that the buckle doesn't slide off. Unfortunately this also makes the installation of a new buckle harder. 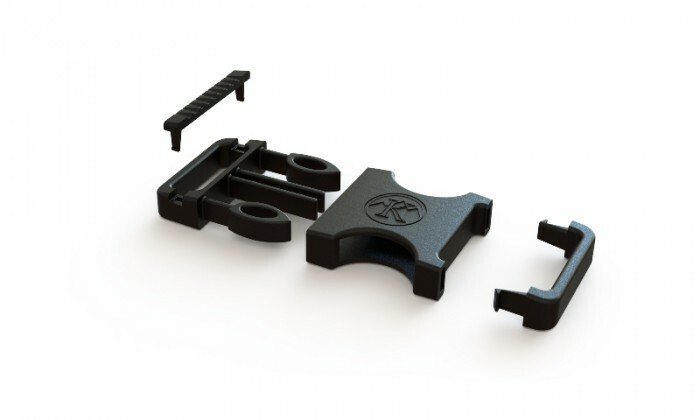 The K-Clip is a multi-part buckle that makes the installation a matter of seconds. Page created at 2019-04-23 6:09:38, Patent Auction Time.